According to the government’s Thailand 4.0 policy, modern technologies will be used to transform Thailand’s economy from the traditional way of emphasizing on the consumer products to the production of innovative products. This is to drive Thailand to be one of the high income countries. Thais will work less and gain more instead of work more and gain less. However, in order to develop innovative products and modern technologies, strong basic science knowledge is utmost important for developing necessary technology platforms. Modern knowledge in basic physics is very important for developing innovations that can compete in world’s market. This is especially true nowaday because a lot of new knowledge is discovered at a fast pace. Moreover, innovative products generally requires new materials that meet stringent requirements that may not exist in nature. This requires state-of-the-art knowledge in material fabrications and characterizations. Such materials are, for examples, High Tc super conductors, negative expansion coefficient material, efficient thermoelectric material. In the past, the discovery of semiconductor materials led to the electronics revolution. The discovery of optic fibers and nonlinear optic crystals enables high speed communication. Therefore, novel materials with special properties are very important for developing innovative products. The development of novel materials requires deep knowledge in material physics, for e.g., the development of material computation theory that is suitable for study and improve properties of materials enabled researchers to design and model materials in a computer before actually synthesize them or used to model the material under investigation and study to the causes of measured properties observed in experiments. The development of material theories based on quantum mechanics enabled a deep understanding of electrons in crystals; allowing the development of novel materials that have desired optical, electrical and magnetic properties. Fundamental physics is very important for technology developments. For example, laser cooling technology that leads to the development of atomic clock that enabled the GPS system requires deep understanding of fundamental physics in using laser to cool atoms to an extremely low temperature. Laser cooling technology also allows researcher to study single atoms that could lead to the development of quantum computer which is a big leap in computational power in comparison with existing digital computers. 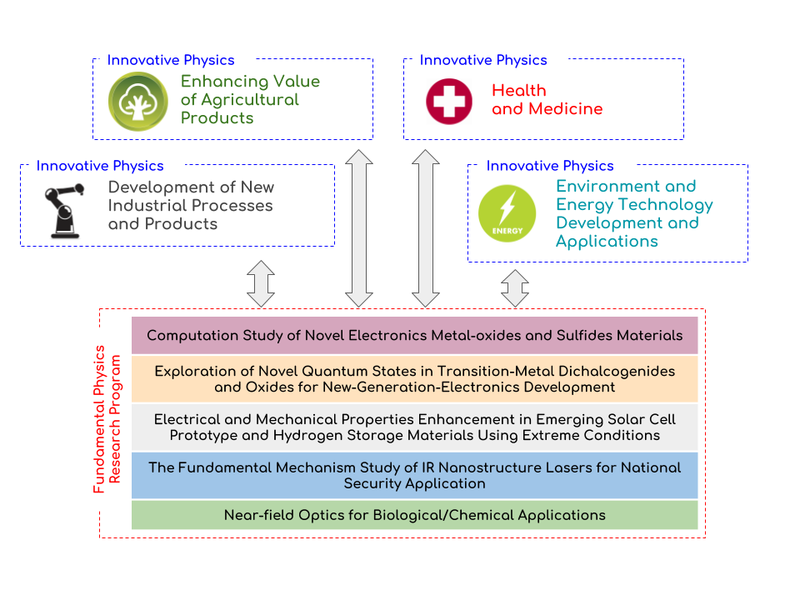 Figure 1 Diagram relating the Fundamental Physics Research Program with other Innovative Physics Research Programs supported by ThEP.